I have died and gone to Heaven. Or 221-B Baker St.
Where does Sherlock Holmes rank among all the audiobooks you’ve listened to so far? 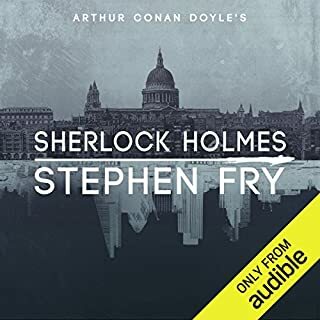 Listening to the Holmes canon as read by S. Fry is like coming into a warm, cheerful room after braving a cold, dark, rainy night. These stories are far too familiar to put me on the edge of my seat. Rather, I settle back into my chair with a comfortable sigh and am transported to Victorian England. What a silly question. Stephen Fry reading the complete Sherlock Holmes? What's left to say? This is an amazing performance by a polished actor who has an obvious love for one of the most beloved characters in literature. Amazing novel by an all but forgotten author. 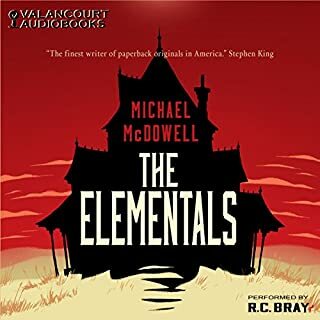 Just a small warning: there is a prologue in the original novel missing in this supposed unabridged audio version, which - in my opinion - is essential to the story. Nevertheless, this is without a doubt one of the finest novels of the supernatural I have ever read. I recommend this highly. I read my own somewhat tattered paperback original every year, and will likely continue to do so. Although a long time in coming, I felt I needed to add a recommendation for R.C. Bray. His performance of the story was - for me - spot on, and for someone who has been reading this novel since publication, at least once a year, I can't commend him highly enough for his vocal interpretation.